Signature Acoustics® products are designed for those with an non-compromised approach to music. 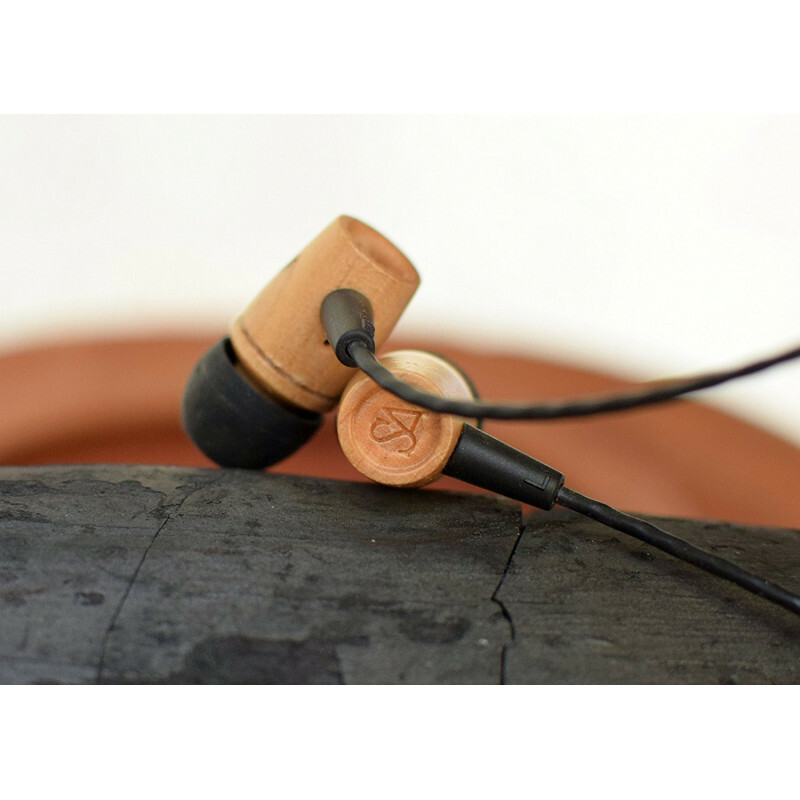 The Element series of earphones from Signature Acoustics Audio are inspired from nature. Well Crafted and designed for discerning audiophiles by audiophiles. 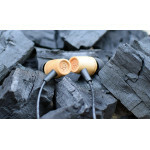 Signature Acoustics researchers have developed these earphones with in house research of over 18 months. These wooden earphones are matched to have natural timber and acoustic. The name C12 is derived from Periodic Table, element Carbon with 12 being the natural occurring isotope. 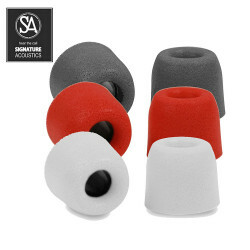 Signature Acoustics C12 has extreme Tight bass, pristine mids and detailed highs. C12s earphones are designed in a way to produce detailed sound without being harsh to ear, resulting in hours of stress and fatigue free listening.Accessories like Ultra soft ear-tips enhances listening pleasure without causing strain to your ear canals. Specially designed 8mm Distinct micro-driver with concentric bass relief port gives un-distorted and impactfull bass effect to the musics. 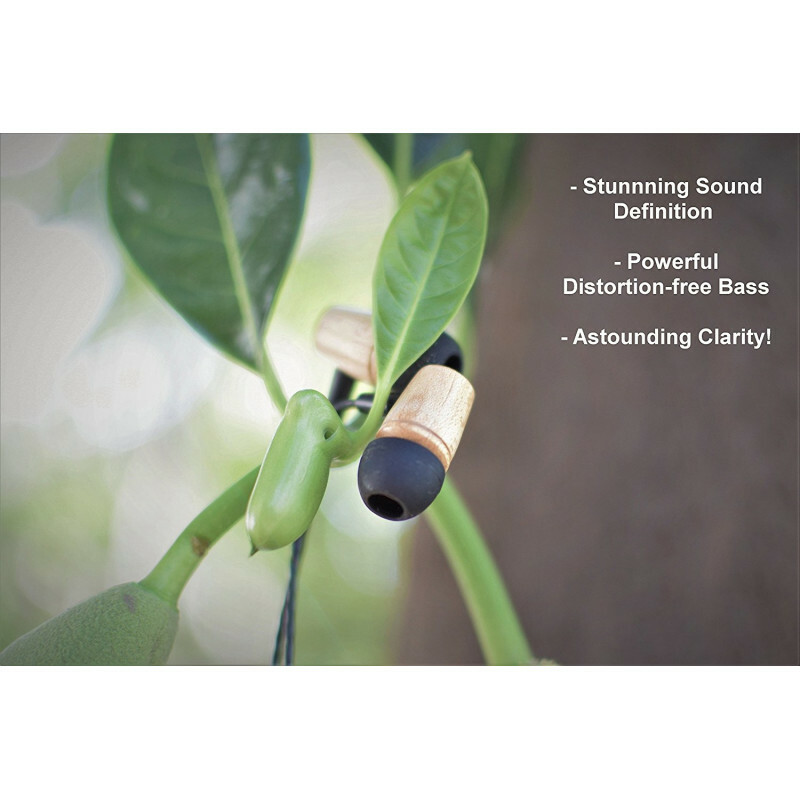 These earphones are Guaranteed to blow your mind, you would be proud that they have been worked upon and designed by Indian Sound Engineers. 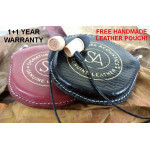 The Make In India Genuine Leather earphone case have Handmade finish, feel and look. Made in India. 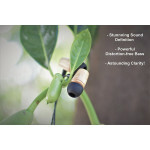 Please read the enclosed manual for more details on signature acoustics earphones. 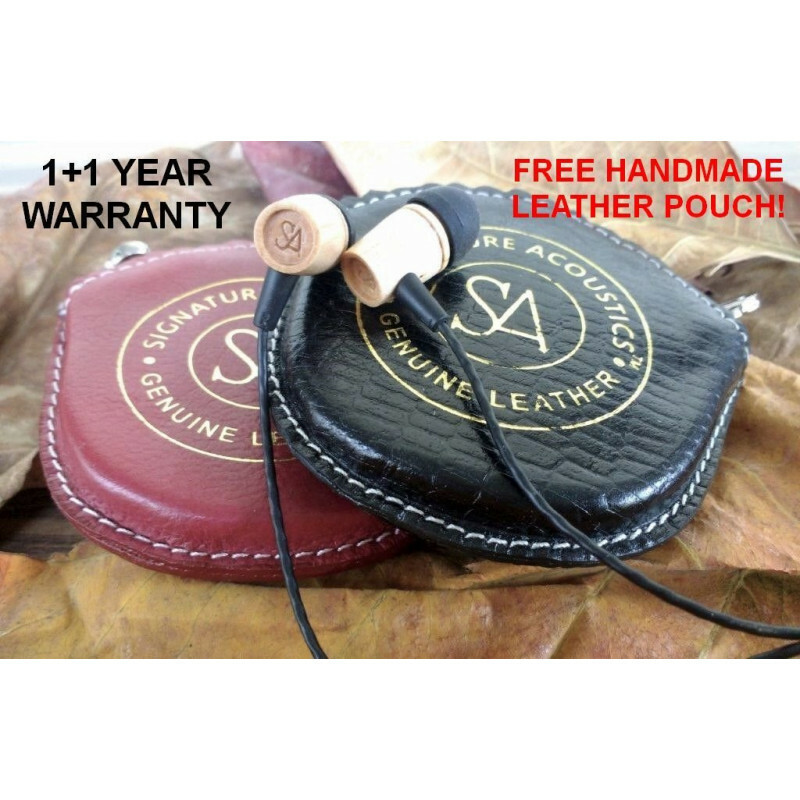 Signature Acoustics C12 have been designed and developed keeping in mind a fun and balanced sound signature. 1. 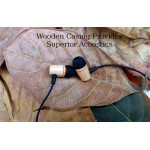 Signature Acoustics C12 has Wooden enclosure/housing for a natural warm sound and strong build quality to the music. 2. Cable consist of 10 strands of wide Cu wire, to ensure impactful extreme bass. 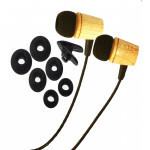 Reversed Engineered and Twisted to reduce microphonic noise. 3. Special distinct 8mm Dynamic driver for Speed and Detailing in music. 4. Accessorize included like earphone filters of 180 and 250 micron for best tuning of Treble. Enjoy the sound and music like they are meant to be heard! 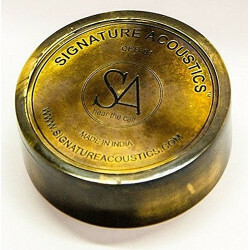 Signature Acoustics Hear the Call! International Customers of Signature Acoustics. 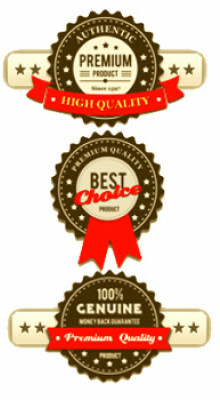 International Importer and Distributor of Signature Acoustics Brand. 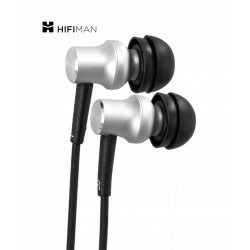 HiFiMan RE400 Waterline The Perfect BalanceThe Standard of PerformancePremium Quality and High..
Signature Acoustics™ Premium Replacement Memory Foam Earphone Earbud Tips Isolation for In-Ear Headp..
Signature Acoustics®The Brass earphone case have antique finish, feel and look. The Antique Polished..